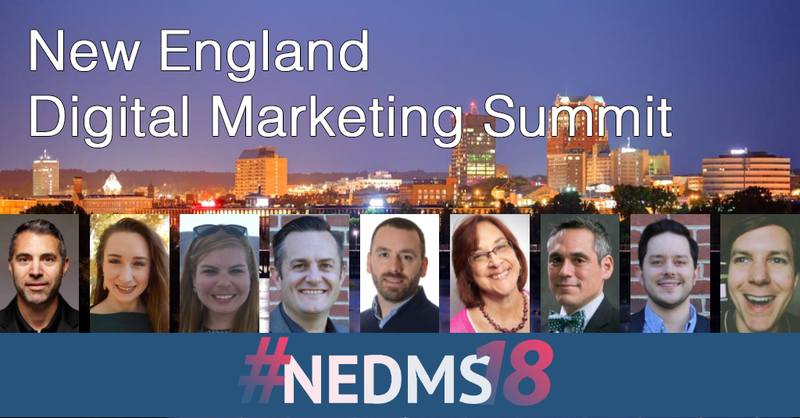 The inaugural New England Digital Marketing Summit will be held February 20, 2018, in Manchester, NH. It fills a critical niche in local professional education for marketers and business owners. As digital technology continues to grow exponentially, the impact on consumer behavior, and our lives in general, has never been greater. Because things are changing so quickly, even experienced marketers may struggle to keep up. And while there are a number of great national and international digital marketing conferences, we saw a strong need for something local, accessible, and affordable for our region’s marketers and small- and medium-sized business owners. The conference taps into the high level of technology and marketing and expertise in New Hampshire. The summit program was developed by an advisory board of local experts and the day-long event features speakers from major national agencies, such as SilverTech, Pannos Marketing, and M5 Marketing, as well as top technology companies such as Oracle Dyn. The summit features two tracks, with sessions covering a range of digital marketing tools, tactics, and advanced techniques. The sessions will focus on practical takeaway knowledge that participants, whether business owners or marketing professionals, can use immediately to improve the ROI of their marketing efforts. An opening panel discussion will cover the most critical trends in digital marketing and features leaders from some of the regions most successful marketing companies. Registration for the one-day event, which includes lunch and refreshments, is early-bird priced at $199 up to January 15, 2018, and $249 after that. To register, or see a list of speakers, sessions and session times, and advisory board members, visit https://www.nedigitalmarketingsummit.com. Newspapers of New England, Inc., a family-owned media company headquartered in Concord, New Hampshire, publishes newspapers throughout the region, including Concord Monitor, Valley News,The Concord Insider, Monadnock Ledger-Transcript, Daily Hampshire Gazette, The Recorder, Valley Advocate and Amherst Bulletin. NNEdigital provides strategic and technical support as well as a full suite of digital marketing products to NNE newspapers and their customers. Just provide your website URL and we’ll send you a free report that shows how the web sees your site, and your brand. From reviews and ratings to website speed and mobile optimization, you’ll find plenty of great information to help improve your business’ online reputation. No commitment, no credit card required.